Family friendly seven seater. Sport has remote electric sliding side doors. Economical and light new 1.6 diesel. Compliant suspension astonishingly good on poor road surfaces. Folding centre seat not as clever as Ford Grand C-MAX. 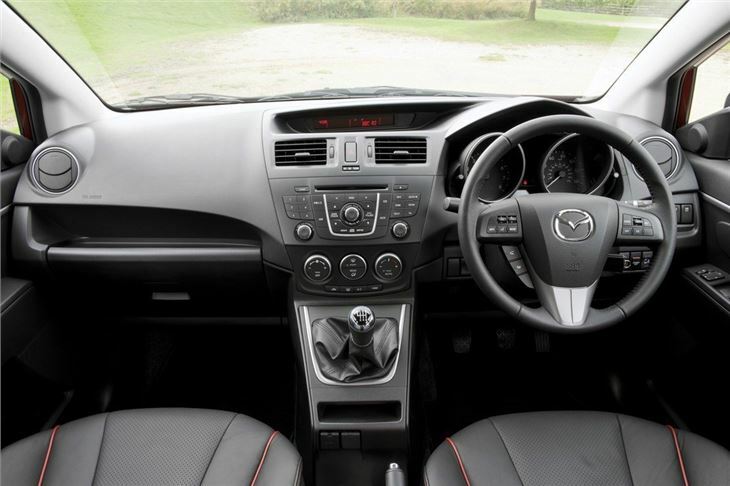 The 2010 Mazda5 was developed with more legroom in the second and third rows, comfortable seats, instruments that are easier to use, and high levels of seat flexibility and functionality. But the big talking point is that unusual crease that runs down the side - apparently it's based on patterns that are formed when wind blows across water. 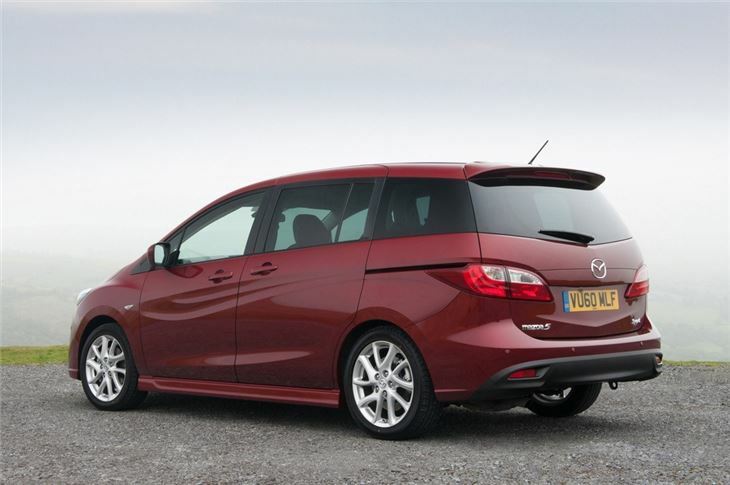 It's certainly different and makes the new Mazda 5 stand out from other people carriers this size. Inside there's a new dashboard design to make the cabin seem larger than before. 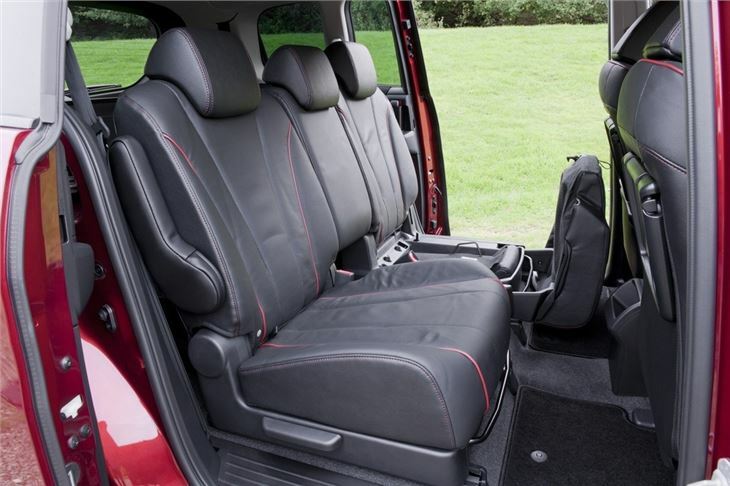 The interior is quieter and more comfortable at higher speeds. Wind noise has been reduced by new windscreen pillars which reduce air turbulence and wind noise. 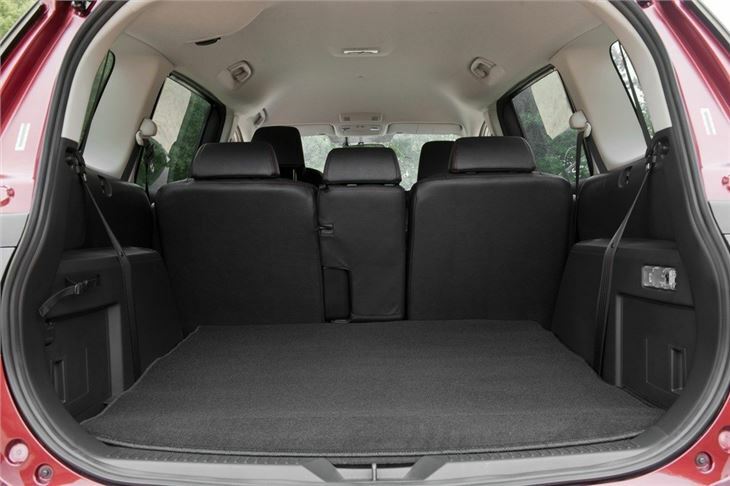 Elsewhere there are wider front seatbacks for both driver and passenger and the rear seats have been made more comfortable with extra padding. The engine line at launch consisted of an updated 1.8-litre petrol with 115bhp while there was a new 2.0-litre DISI diesel. This produces 150bhp along with 191Nm of torque and also features Mazda's stop/start system, i-stop, which saves fuel by switching the engine off when the car is stopped in traffic. For 2011, the 2.0 diesel was replaced by a new PSA 115PS 1.6 litre 8v diesel and a new 6 speed manual transmission, the combined weight of which is 120kg ligter and endows the car with outstanding front end grip and suspension compliance. It corners astonishingly well on uneven surfaces. 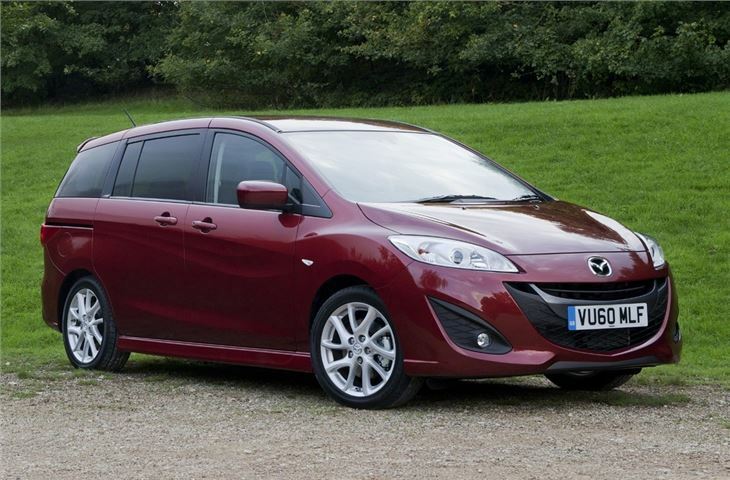 And in 2012 the 1.8i 115 was replaced by a 2.0 litre 150PS petrol engine. 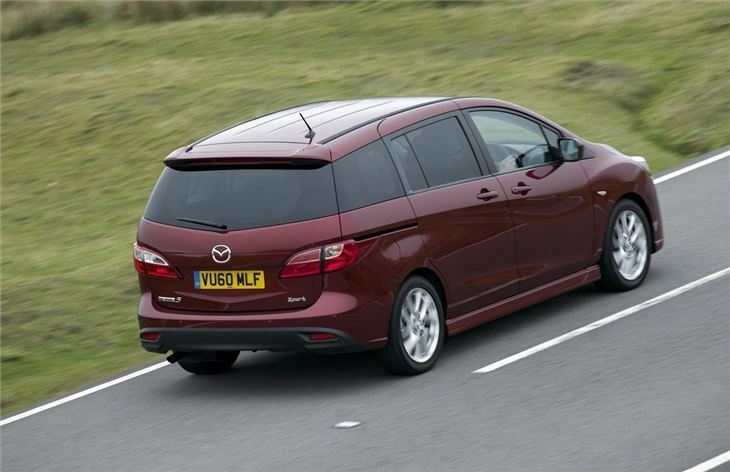 Two factors separate the Mazda 5 from most other people carriers. 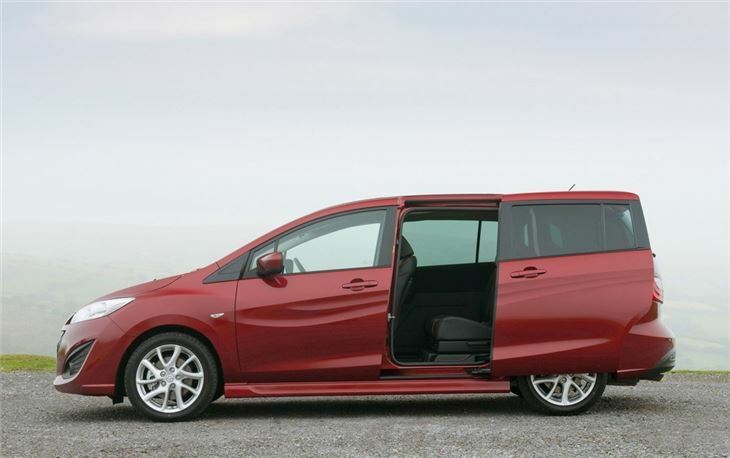 One is sliding side doors, electrically operated on the Sport version, which makes loading and securing children easier. The other is an exceptional combination of ride comfort, bump absorption and handling - at least on the TS2 1.6 diesel fitted with 205/55 R16 Toyo J48 tyres.